The following organizations continue to demonstrate their dedication and commitment to the Lasso language and providing optimal hosting support for Lasso users. This page is the place to start when you're looking for a like-minded company to host any Lasso applications. Know of an agency or provider who should be added to the list? Drop us a line and let us know. Advertise directly to the Lasso market from here. 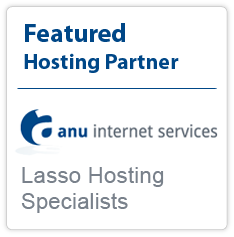 Anu Internet Services specialise in providing managed Lasso hosting solutions, from shared hosting accounts to high availability cluster deployments and ultra secure servers. We strive to establish healthy long-term relationships with our customers and suppliers, ensuring long term success for our clients. Black Night Software are a hosting company specialising in Lasso. We have been developing and hosting Lasso driven web sites from conception to deployment in a shared or dedicated server environment since 1999. Point In Space. 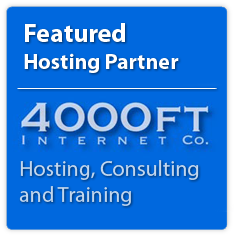 Point In Space offers Lasso Hosting with MySQL, FileMaker and PHP on shared, virtual and hardware dedicated OSX servers. Now in business for over 12 years, we have the experience and resources to implement any size solution. Contact us or call us at +1 919 338-8198. WebCentrix, Inc. provides business class website and email hosting, Lasso hosting, server colocation, web development and web programming, search engine optimization services, contract consulting, and Apple Macintosh server and desktop support. 4000FT Internet. Is your data safely stored and delivered to your customers fast anytime 24/7? All names and trademarks belong to their respective owners, and are used for illustrative purposes only.